The podcast for top book recommendations. 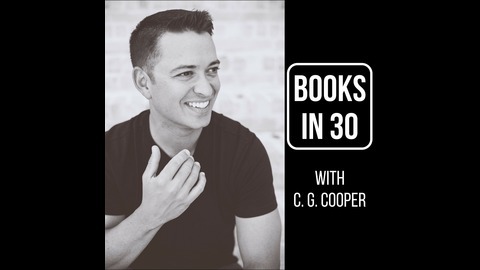 Author C. G. Cooper interviews fellow authors as they discuss great books they're currently reading, favorite books of all time, and guests even read (and laugh at) mean reviews of their work, all in under 30-minutes. New episodes go live every Monday and Thursday. Voracious readers welcome. Get ideas for the next book to put on your nightstand/device. Snag a free copy of one of C. G. Cooper's novels at http://cg-cooper.com. 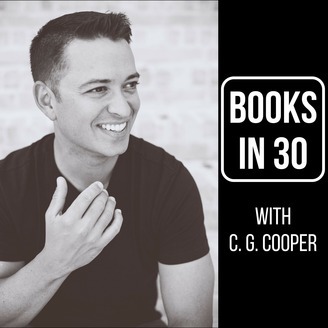 In this episode of Books in 30, C. G. Cooper sits down with Christopher Gerrib, author of The Mars Run, Pirates of Mars, and The Night Watch, all part of The Pirates Series. Chris discusses some of his favorite sci-fi books and the different elements of science fiction, including quirky characters, taking unexpected approaches, and the birth of the space opera. Chris wraps the show up with why history is so important to know and a bit of good advice for new writers. Chris Gerrib admits to being a bit obsessed with Mars, but in a healthy way. Chris still has a day job as the IT director at a Chicago-area bank, and holds degrees in history and business from the University of Illinois and Southern Illinois University. He also served in the US Navy during the First Gulf War, and can proudly report that not one Iraqi MiG bombed Jacksonville, Florida while he was in the service.